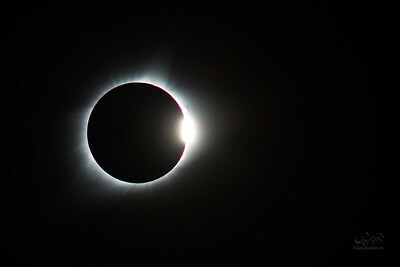 Taken in Central Missouri, cleared out just in time to see the sun. 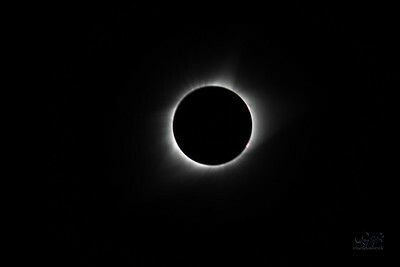 This was about half way into the total eclipse of 2m30s. 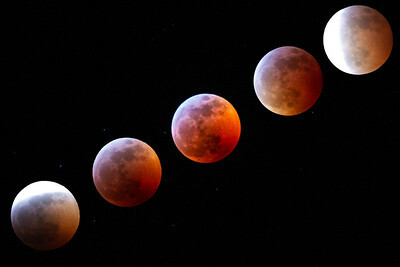 Here is a timeline of the Jan 2019 SuperBloodWolf Moon that lasted 90 minutes. The lower left corner is the start of the 90 min and the upper right is the end . 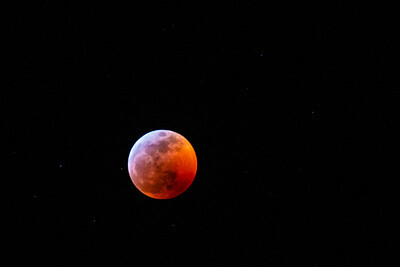 The middle is the total lunar eclipse.